Early morning drive. Cloudy. Golden Heritage Living. Instructions from mom. Four pieces. In The Dark podcast. Brief sun on the way back. Pickup from Sean. 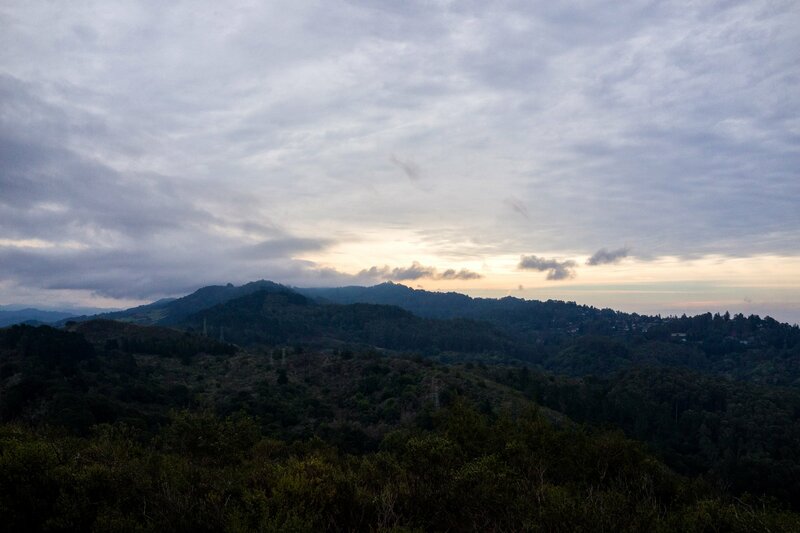 Tilden Regional Park. Navigation help. Cloudy again. Easy parking. Walking along the bay. Overlook. Free range cows. Bikers everywhere. Picture time. Walking back. La Note. Brioche Pain Perdu. Most surprising thing about Berkeley. Coffee. Talks. Goodbyes. Running to Chinatown. Seamless transfers. Young energy. Observing. New outfit. Wedding. Lost shirt. Dropped off at 12th and Oakland. Subway smell. Jjajangmyeon. Singles day. Facetime. Application.